Club Earth. 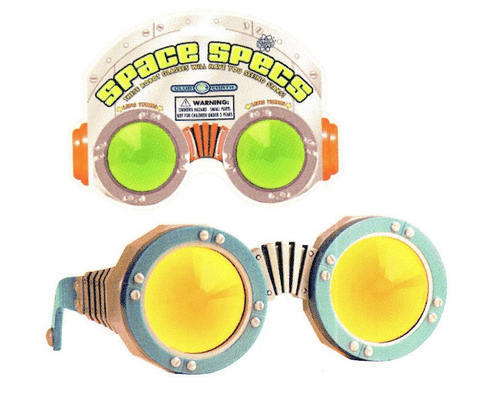 Try on a pair of futuristic SPACE SPEC and see the world from a robot's point of view! Comfortable frames hold kaleidoscopic lenses that you can rotate, mutating the scene with every turn.